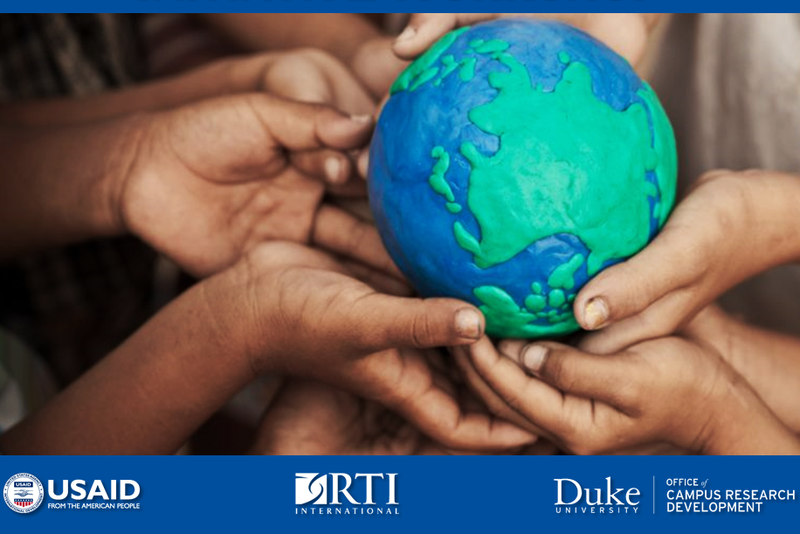 Please join us for the RTI-Duke Global Development Initiative Workshop on Friday, May 18 at 12Noon - 1:30PM in Carpenter Conference Room, 249 Rubenstein Library. The United States Agency for International Development (USAID), the world's largest bi-lateral development funding agency, allocates $20 billion a year for global development research and technical assistance projects. Increasingly, USAID seeks to engage US universities and faculty in its development programs. Come hear more about USAID and its range of opportunities from Duke faculty with past and present USAID funding. We will also discuss a new partnership Duke has with RTI International to collaborate on USAID funded projects. Lunch will be provided. Open to Duke Faculty. Registration required: https://bit.ly/2JQl5sK. This event is sponsored by the Office of Campus Research Development and RTI International.